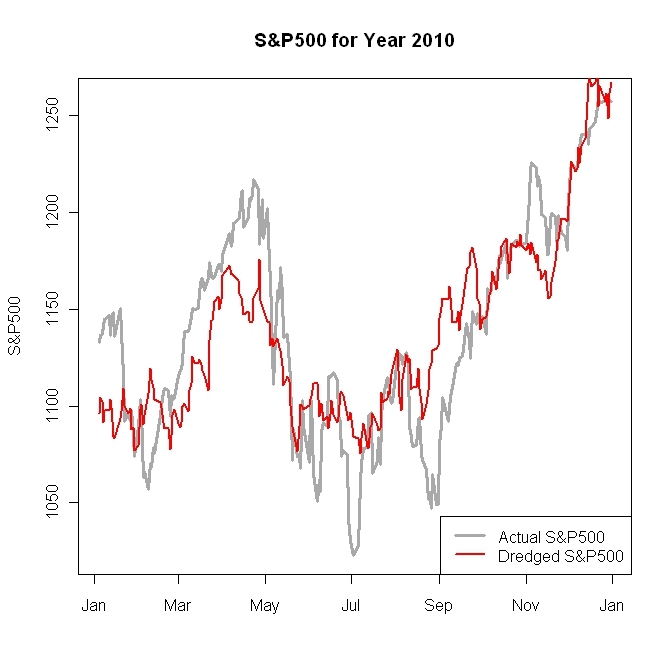 Fund managers are acting in a highly stochastic environment. What methods do you know to systematically separate skillful fund managers from those that were just lucky? Every idea, reference, paper is welcome! Thank you! where $\rho$ is the correlation between the market and portfolio returns. Now we can simply determine the probability that the manager's excess returns were luck by plugging this t-statistic into the t-distribution's PDF with degrees-of-freedom $n - 1$. The lower the probability, the more we can believe the manager's excess returns were from skill. This is all meaningless BS, but it took a while for some people to untangle luck from the con. The really hard part is to convince yourself that your "skill" actually found something real. Something "real" is a very rare event in the world of investing. Read Fooled by Randomness by Nassim Taleb. In a nutshell, he says that you can only tell the difference by understanding the risks that were taken. Lucky investors can win for many years before blowing up. Even if he doesn't blow up, there is no way to know what might have happened if the risks turned out badly. Take a look at White's Reality Check. If this number is 0 or negative, it indicates that you are mostly dealing with a lucky investor, and not a skilled one. I was going to suggest that you use alpha, which is the measure of a managers excess return beyond their benchmark. But here is an alternative view which is quite interesting. I remember an article from graduate school that describes a methodology for measuring the true timing ability of a money manager. I don't remember the name of the article nor the name of the author, however, I do remember some of the details of the article. Maybe someone else has run across it and would be kind enough to post the appropriate reference. Let's assume that a manager has the ability to be either in cash, earning the risk-free rate, or a long position in a basket of stocks. If the money manager had superior timing ability, he would be in the basket when the basket was returning greater than the risk-free rate, and he would be in a cash position when the basket is returning less than the risk-free rate. What you basically have is a return profile that looks a lot like the payoff of call option. If you plot market return on the x-axis and manager return on the y-axis, the return should be flat at the risk-free rate for everything to the left of the risk-free rate on the x-axis/ At the risk free-rate on the x-axis, the return should be a 45-degree line up and to the right of the diagram. Over time, you measure manager return against market return, and if he is any good, you should see the call option payoff diagram being roughly drawn out. Martijn Cremers and Antti Petajisto have a series of papers using the concept of "Active Share," a new measure of active portfolio management which represents the share of portfolio holdings that differ from the benchmark index holdings, to evaluate mutual fund managers. They find that the most active stock pickers have outperformed their benchmark indices even after fees and transaction costs. In contrast, closet indexers or funds focusing on factor bets have lost to their benchmarks after fees. Bottom line: when separating skill from luck, concentrate on those managers that actually try to differentiate themselves from the crowd. Also, the more fine grained your strategy is, the more likely it is to represent skill over luck. 2) see how hard the market has been -- check whether you have just been part of a bull market which basically made pretty-much every strategy a winner, and discount performance accordingly. I would be skeptical of anything too mathematical for measuring outperformance, since even a badly-designed strategy may have performed well. I see an analogy with driving: many drivers will successfully get from A to B, but you'll get a much clearer picture of the sorts of risks a driver takes by sitting in the car with them, rather than trying some mathematical analysis of the race. Make sense?